The main page typography looked correct awhile ago but seems to have changed. The header should be helvetica bold 14pt #565656, and the text below should be the same in regular weight. 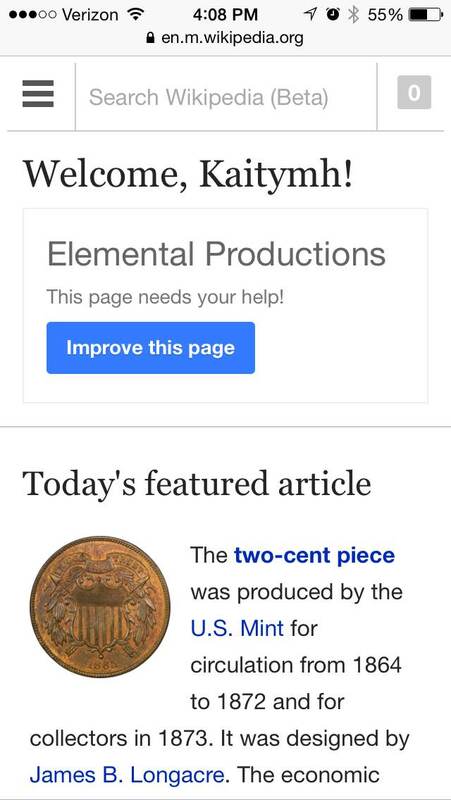 Attached is a screenshot of the current appearance and a mockup of the original design. bzimport set Reference to bz64265. Not quite. 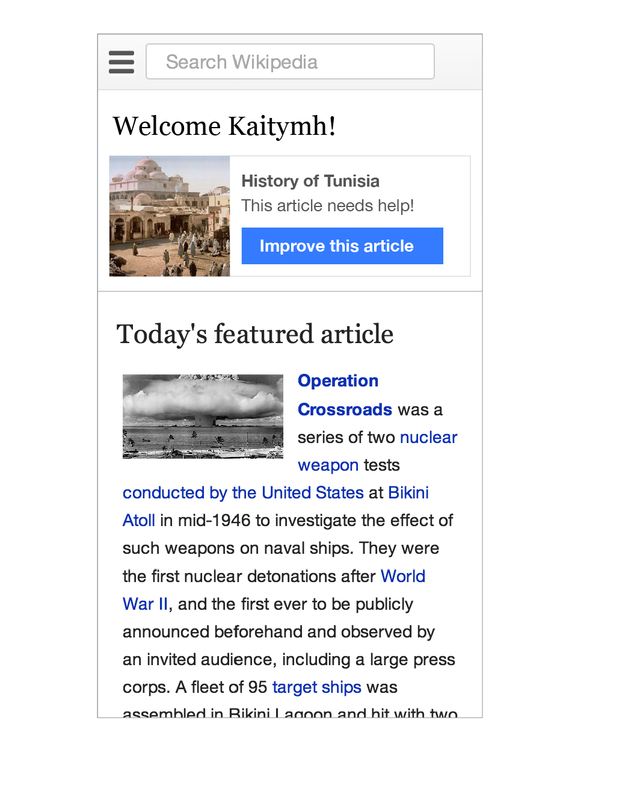 Kaity is talking about the box at the top of the mobile main page which says "History of Tunisia" - the styling has changed. This feature itself was removed with this change, am i right?